Summer job search for people who don't want to. Nobody wants to spend a lot of time looking for a summer job, or any job for that matter. 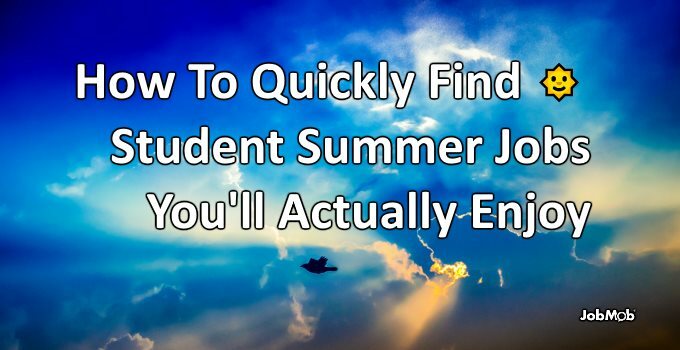 These are the first steps a summer work seeker should try for fastest results, and I used most of them to find my 10 wacky (& not so wacky) summer jobs. When do you usually start looking for a summer job? Free: Download The 50+ Mostly Unusual Places to Find Summer Jobs, a handy checklist to keep track of where you applied for summer jobs. Why it works: a big part of job search is selling yourself. Avoid having to do that again by going to someone who already knows what you can do (well) for them. Why it works: many businesses have seasonal hiring needs, often without any experience necessary, and if you act early enough, your sincerity and good manners alone can get you a job. This is true for high school students too. To get you started, here's a long list of businesses that boom in the summer. Play around with different variations of these keyword phrases too. 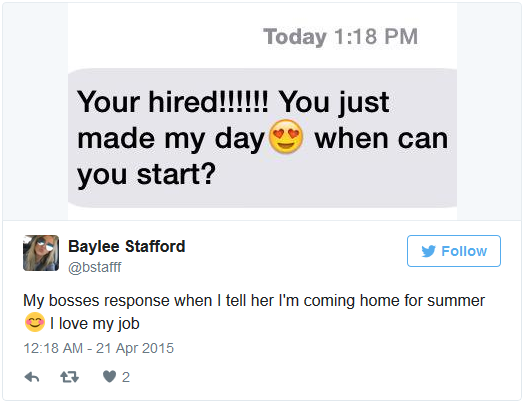 You can also check Twitter accounts that post summer jobs. Similar to using Twitter, but you need to take an extra step to find the recent posts. Then, under Search Tools, choose ‘Past week' or ‘Past month' to only get the most recently posted jobs. 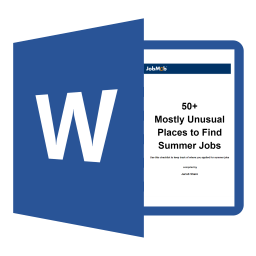 Download a checklist of The 50+ Mostly Unusual Places to Find Summer Jobs to keep track of where you applied while getting ideas for new places to try. Subscribe to JobMob via email and follow me on Twitter for more sunny tips for your job search.